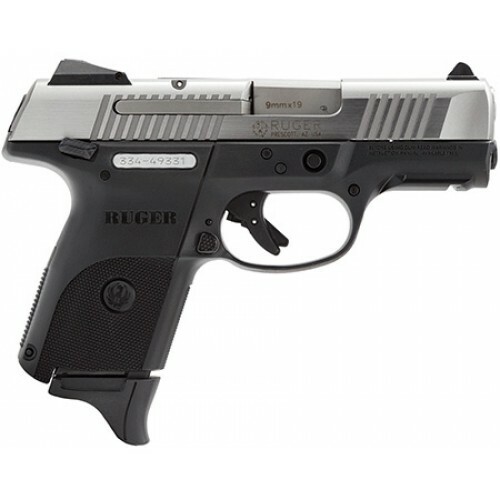 Interested in Ruger 9mm but don't quite know which one to get? There are, after all, more than one outstanding candidate for a carry gun from Ruger. Not only that, they actually offer some of the most diversity of choices. After all, a Glock 9mm is basically the same no matter what size you get. By comparison, there's a Ruger 9mm to fit almost any taste or sensibility. You have to suss out which is going to be the best Ruger 9mm compact or other format of pistol for you. Here, though, are 6 sensational Ruger 9mm pistols to consider. The slim, single-stack subcompact poly striker pistol is all the rage these days, which makes the Ruger LC9s one of that company's most popular pistols. The LC9s has a lot to offer if it's the kind of gun you're looking for. The Ruger LC9s is a bit short on features, but simplicity is for many a virtue. The LC9 family is the LCP architecture scaled up for the 9mm round. The LC9s uses a striker firing mechanism, with a lighter, shorter trigger pull and a bifurcated trigger and passive trigger safety system. The controls (magazine release, slide release and manual safety) are all on the left side, the magazine carries 7+1 of 9mm, and it wears adjustable 3-dot sights. And that's about it. Simple, streamlined, powerful but also pint-sized enough for pocket carry...and at a price that's nice, too. Most examples can be had for less than $400; most go for closer to $300...or less. Then again, you can also scale up. The Ruger Security 9 is a compact, being roughly similar in dimension to a Glock 19 and - since we mention it - holds the same complement of 15+1 aboard in a double-stack magazine. 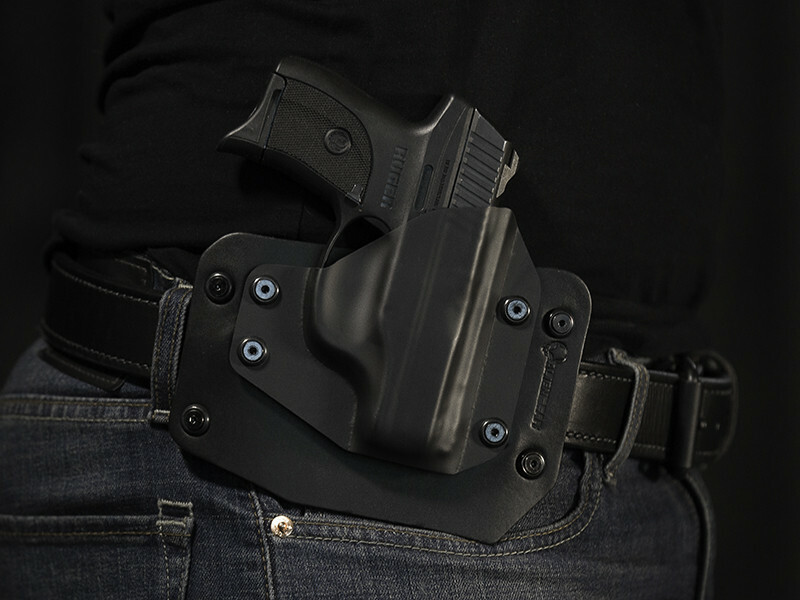 The Security 9 is also lightweight and streamlined for use as a carry gun. The Security 9 is simple, as you get LC-style controls with a magazine release, slide release and manual safety on the left side only for controls. The trigger is split and there is a passive safety system, so the thumb safety is totally up to you. The firing system is actually a light double-action-only, so the trigger has firmer take-up than most striker guns but is just as light, breaking at about 6 pounds. Though you don't get the swappable grip panels of many other poly-framed workhorse guns, you do get adjustable 3-dot sights and an accessory rail. Since the Security 9 retails for less than $400, it's also a bargain. Want a 9mm but can't be bothered with that stupid slide? No big deal. There is a Ruger LCR 9mm. The 9mm round in a snubby revolver - yes, you read that right - so you get a tad more zing than .38 Special and will pay less for practice ammo in the bargain. The LCR 9mm features the LCR's polymer lower frame, for weight reduction, and non-stacking double-action trigger. Barrel length is 1.87 inches, and weight is 17.2 ounces, so it's compact and light for easy toting. You better love black pistols, because there are no other colors. You better prefer guns to not have many features, because you get a notch in the backstrap and driftable front blade with a white insert for a front sight...and that's it. It holds 5. Not in love with DAO pistols? That's okay. You can get the LCRx, a traditional hammered double-action version of the LCR, in 9mm as well. There is also a 9mm variant of the SP101. The Ruger LC9s is being wound down in favor of the Ruger EC9s, which is largely the same pistol though with a few changes. First, the finish is changed from blued in the base model to black nitride, a hardier coating. A few colors of frame are available, including Cobalt Slate (a grayish blue), silver, and seafoam green. The seafoam model can also be had with a stainless steel slide. The sights are changed from the dovetailed low-profile units on the LC9s to fixed sights much like the original LCP. Unfortunately, this means it's either love it or leave it when it comes to the sights. Deal with 'em or don't buy the darn thing. The firing system (striker-fired with tabbed trigger and integrated trigger safety) and carrying capacity (7+1 of 9mm) remains the same. What doesn't remain the same is the price. While the LC9s normally goes for about $400 to $450 new, the EC9s has an MSRP of $299, so you can expect to pay $250 or less in-store. Everything you need, nothing you don't, and you can get it for a song. Okay...we lied. There is really only one Ruger 9mm for concealed carry; it's just that they make others you could think about if you wanted to waste time. That pistol is the Ruger SR1911 Lightweight Commander 9mm. The Ruger SR1911 series are made in the USA, with a black anodized aluminum frame that brings weight to 29.3 ounces. Standard Commander frame dimensions (4.25-inch barrel and so on) apply. It holds 9+1 seeds of freedom, though you can bump that up to 10+1 with aftermarket magazines. What features adorn this piece of pistol perfection? Chevron serrations on a stainless steel slide for easy manipulation. Novak 3-dot sights (ergo Novak sight cuts) and a competition-style manual safety. Skeleton commander hammer and upswept beavertail grip safety with a memory notch for a high, tight grip. A skeleton trigger sits inside the trigger guard, and the firing system is Series 70 for a light, crisp pull. This gun is built to run. MSRP is $979, but you can find it for $800 or less without too much difficulty, which - for the features you get relative to price point - is the bargain of the century. Frankly if you have a chance to pick one up and pass on it, you're demented. The Ruger American is/was billed as something of an improvement on the SR9 series, intended as something as a more rugged duty pistol or something along those lines. The Ruger American Compact 9mm, of course, is the CCW-friendly version. The Ruger American revised the striker trigger for a lighter, crisper pull. The frame was revised to add swappable backstraps, a 1913 rail instead of a universal rail, Novak sights and a revised takedown that doesn't require the usual dry fire. Manual safeties are optional; you can get a model with or without as you choose. The magazine release and slide release are ambidextrous. 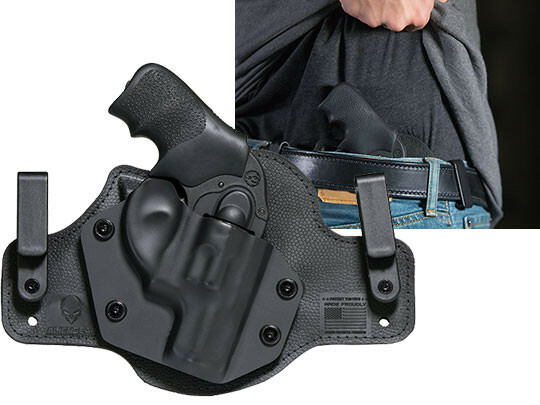 The Compact model employs a 3.55-inch barrel instead of the standard 4.2-inch unit, and - just like the SR series - has a flush-fit 10-round magazine with a pinkie finger rest. It's tactical and practical, and has a price that's fairly nice. MSRP is $579, but you can find it for $500 or less without much hassle. Want a visual guide? Here is the cheat sheet of Ruger 9mm pistols for CCW compared side-by-side. The one you want is the SR1911 Lightweight Commander, but you can look at the other ones too. Dimensions (LxWxH) 6"x0.9"x4.5" 7.24"x1.18"x5" 6.5"x1.28"x4.5" 6.85"x1.27"x4.61" 7.75"x1.34"x5.5" 6.65"x1.4"x4.48"
With the change in the ammunition, the battle strategies have also largely changed. Now, the knights have been replaced by the modern warrior who carries weapons that are increasingly lethal, and a hit of ammo fired from these weapons can deliver serious and impairing, and sometimes fatal impact. Unlike my son, I like to carry a 9mm with a physical safety. So, my favorite 9mm to carry is my LC9s. It's a great hand gun with a small profile. Also, I really appreciate the way Ruger stands behind their products. I had a problem shortly after aquiring my LC9s, called Ruger, they sent me a FedEx lable via email. I sent the gun to them and had it back in a week with a note saying what they repaired and that they fired all 3 types of ammo I had been using, per my attached note I sent with the gun. I've never had another problem. Consequently, I just purchased an LCP2 to carry when more convenient. I have Glocks/others as well, but tend to carry my LC9s. Thank you. Have a Blessed Day !! The American Compact comes has a 12 (12+1) round mag with a pinky rest. It also comes with a 17 (17+1) round mag.